The second of our pre-season friendly matches was a major contrast to the first game as we had dominated the game against Montrose but we found that we were on the receiving end this time against a very young Hamilton side. Apart from the players on trial the oldest player that they fielded was second half sub Ziggy Gordon aged 19 with everyone else 18 or younger. 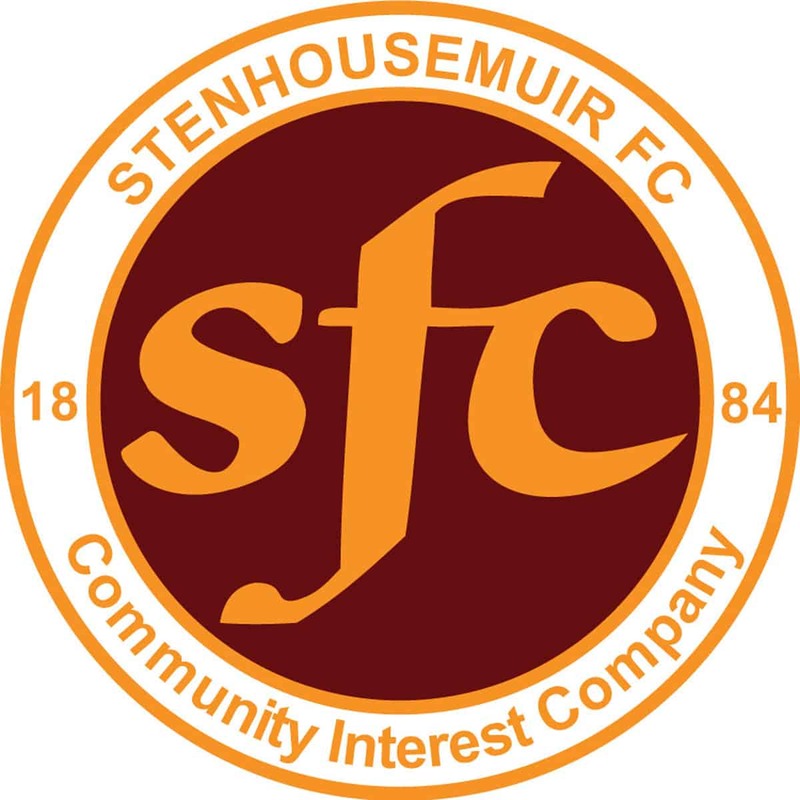 The youngsters carried their youthful exuberance on the field and played at a higher tempo throughout than Stenhousemuir were comfortable with at this stage in their preparations. It took until the 15th minute for the visitors to go ahead when Stephen Hendrie picked out Craig Johnston whose shot was saved by Ally Brown, the rebound was not cleared properly though by Alan Lawson and Keiran Millar took full advantage to fire home.. Three minutes later John Gemmell’s shot from a Bryan Hodge corner was cleared off the line. Andy Rodgers and Hodge combined well for the former to have a long range effort saved but it was Accies that were the more threatening and they extended their lead in the 39th minute when Greg Ross lost possession to Millar and he took full advantage to fire in his second goal. The ex-Warriors loan player took a knock that saw his substitution at half time and has since been diagnosed with a partially fractured his knee-cap that will keep him out for 6-8 weeks. The second half saw a myriad of substitutions from both sides but it was still Accies who looked the more impressive. There were chances at both ends though and Stuart Love eventually scored for the Warriors coolly finishing after the home side’s best passing move of the game. Any chance of a comeback were dashed a minute later when Michael Selfridge scored after being set up by a Greg Docherty run that exposed the frailties of the Stenhousemuir defence. The final score of 3-1 to the visitors was a fair reflection of the game, but that was not to be the main talking point of the night as it was announced that David Irons was stepping down as manager due to work commitments and although it always looked as if it would happen at some time the timing came as a shock to everyone. Hamilton Academical – Trialist, McGlinchey, Hendrie [McMann 74], Devlin, Trialist [Gordon h/t], Millar [Selfridge h/t], Johnston, Lyon, Watson, Fraser [McCue 62] and Martin [Docherty 76]. Subs not used – Craig and El Zubaidi.